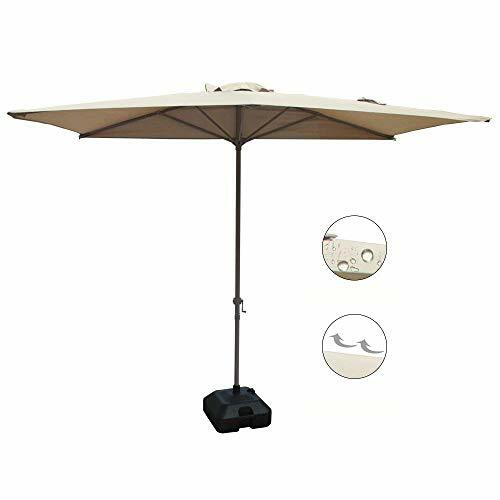 This half-side patio umbrella can meet your need for shading your windows or doors against the heavy sunshine without blocking all light comes inside the room, as well as protecting your open-air balcony from the bird droppings or any careless litter from upstairs. Also it can be moved to anywhere as you like rather than the traditional scroll canopy is hard to change position. COBANA half umbrella is made of UV-, weather- resistant heavy duty polyester fabric and rust-free powder coated aluminium poles and steel ribs for longer usage. Air vent: Yes. It provides basic wind and heat venting. If you have any questions about this product by COBANA, contact us by completing and submitting the form below. If you are looking for a specif part number, please include it with your message.